NewsGallery: A DRAGONFLY IN NEW YORK CITY'S SKYLINE? 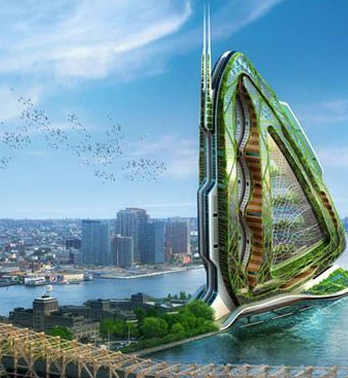 Called Dragonfly, for its resemblance to a dragonfly’s wing, it is a unique urban farm concept for New York’s Roosevelt Island. Through its Utopian conceptual designer, Vincent Callebaut’s eye, it's simply one of his many eco-friendly projects. 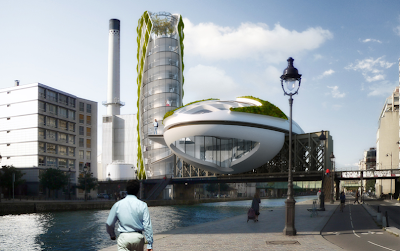 Lilypad Rendering: A floating ecopolis for climate refugees. One of Callebaut’s goals with this enormous proposal is to relieve issues of food mileage and shortage, while reconnecting consumers with producers — something that's been utterly lost in American culture in the passed few decades. With the Big Apple being one of the most congested areas in the States, Dragonfly is meant to stand like a sky-scrapper, like an urban vertical farm — inspired by a dragonfly’s wing. This building would have an outstanding 132 floors, measuring 600 vertical meters. And to keep such an ambitious farm running, the empty space between the wings is meant to gather solar energy, procuring warm air in the exo-structure during the winter. While in the summer months, the cooling would be made possible by natural ventilation and evapo-perspiration from the plants. Inside the Dragonfly, plan are would be offices, research labs, housing and command areas, carefully organized with orchards, farms, and production rooms. To provide and maintain proper soil nutrients levels and to reuse bio-waste, there would be plant and animal farming throughout the steel and glass structures within the wings. This incredibly thought-out composition would also have twenty-eight different agricultural fields for production of fruits, vegetables, grains, meats, and dairy. A mixture of solar and wind power would be everything the Dragonfly would need: to keep producing valuable crops and much needed food for a busy city — an area where there's very little space to grow plants, let alone a self-proficient upward farm. Vincent Callebaut, the theoretical architect behind this magnificently extravagant eco-friendly architectural rendering has multiple green proposals in the works. A graduate from the Institute of Victor Horta in Brussels, the Belgian-born conjectural architect has since competed in many contests — having won some and lost some. Chrysalis Rendering: RDI Campus Clermont-Ferrand, France. He's also collaborated with some of the most renowned architects including, Jakob+MacFarlane, Claude Vasconi, and Jacques Rougerie. 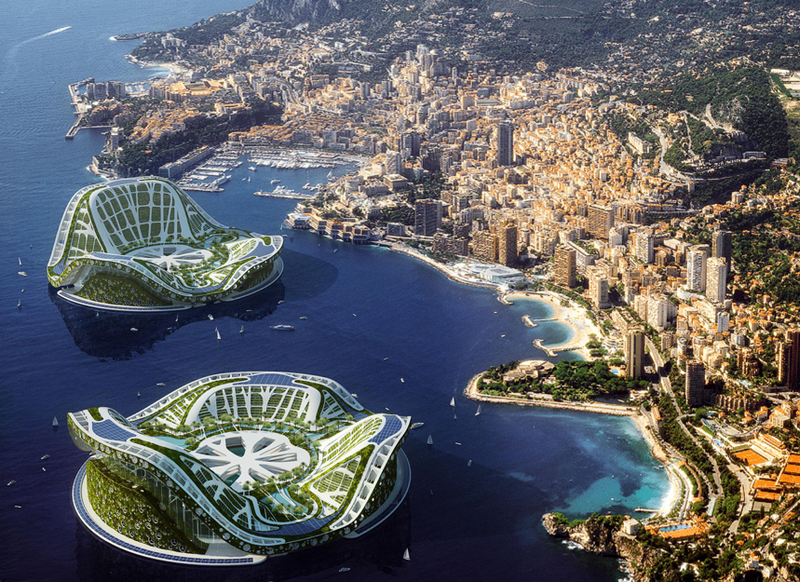 Vincent Callebaut has a passion for conceptual architecture and an even bigger passion for the environment. He will keep designing his beautiful eco-friendly uniquely shaped eco-structures in the hopes that one day in the world, they'd be built, seen, and most of all utilized.